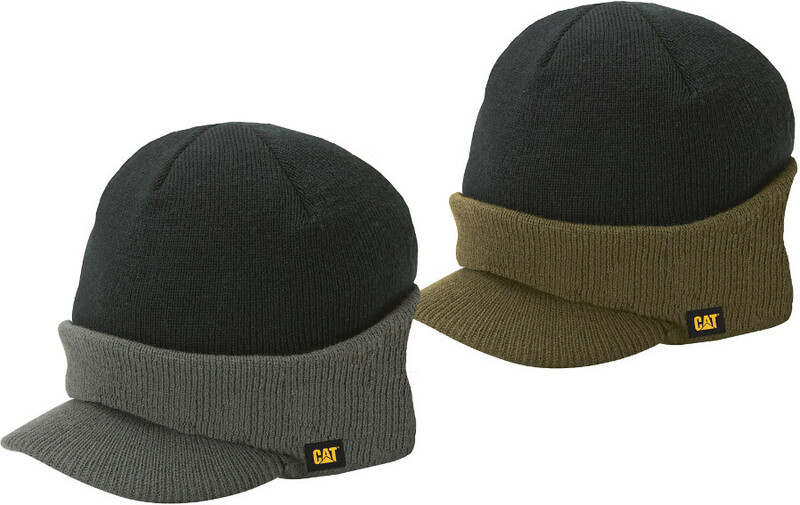 The CAT Visor Cap is a 100% acrylic cap that offers shade from sunlight and keep the wearer warm. This stylish cap is a mixture between a beanie hat and a traditional cap, with contrast fabric stretching over the peak. Great addition to your workwear collection.